NEW YORK — In an interview with CNN on Sunday, the president of Iran stated that his country might free Americans imprisoned in the nation—which includes a pastor from Idaho—if the United States first releases Iranian prisoners. “If the Americans take the appropriate steps and set [19 Iranians in the United States who are imprisoned] free, certainly the right environment will be open and the right circumstances will be created for us to do everything within our power and our purview to bring about the swiftest freedom for the Americans held in Iran as well,” he told reporter Christiane Amanpour during his visit to New York for the U.N. General Assembly. “If the Americans take the appropriate actions vis-a-vis Iranian citizens who are being imprisoned here, then the right atmosphere and environment will be created for reciprocal action perhaps,” Rouhani said. He asserted that the U.S. no longer has a reason to hold Iranians captive for violating sanctions that have now been lifted under the nuclear agreement. But Naghmeh Abedini, the wife of Pastor Saeed Abedini, who has been held as a prisoner in Iran for three years, said it shouldn’t take a prisoner swap for her husband to be freed. 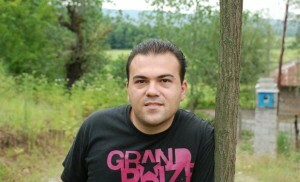 Abedini was later charged with threatening the national security of Iran, and for attempting to turn youth in the nation away from Islam and toward Christianity. He was then sentenced to eight years in Iran’s notorious Evin Prison, but was transferred to to Rajai Shahr Prison in 2013, which was believed to pose an even greater threat to Abedini’s health and safety. He has experienced numerous beatings behind bars ever since. Over 900 cities worldwide held prayer gatherings on Saturday for Abedini—the day marking three years that he has spent behind bars—and over a million have signed a petition calling for his swift release.